Eagle Power 130 000 years ago! I just can not resist to post this exiting find here! 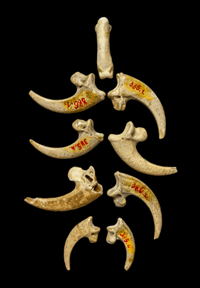 Neanderthals were creating and wearing Eagle talon jewellery! It speaks not only to their undoubted intelligence and sophistication but also gives us a glimpse into their belief system. Eagles were special – to at least some of them. As they are for my ancestors in Siberia. 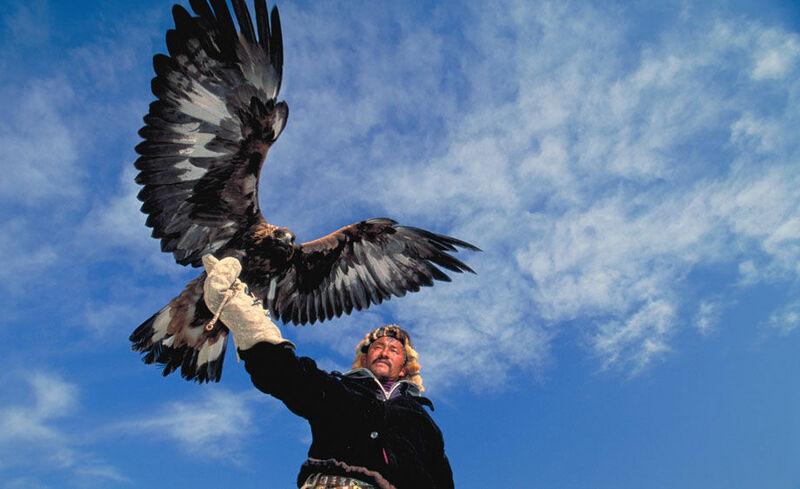 Still today some of the hunters of the Siberian and Mongolian steppes use Eagles as hunting companions. From an Eagle’s nest only ever the smallest, the runt, the “spare” was taken. The one usually hacked to death by its older siblings or being starved…..
That one my People took and hand raised and trained to hunt for Foxes, Rabbits, Pheasants, Birds and other small game. When the Eagle was with the family for 12 winters, it was the ritual to let him/ her go free the following spring. So the bird could mate and raise a family of its own. … not before a food offering was placed where the adult Birds would easily find it. This tradition is ancient – and maybe even crossed from our Ancestor Elders over to our Human Elders.